The Caring and Sharing Exchange currently runs the following programs. Find out how each of them helps the Ottawa community! 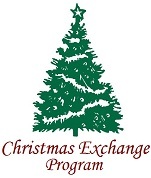 The Christmas Exchange Program provides redeemable gift vouchers or food hampers to individuals and families who are in need in our community during the holiday season. The Sharing in Student Success Program provides grade appropriate stuffed backpacks to children from families in need so that every child in Ottawa can return to school on equal footing, ready to learn. The Co-ordination Service is the backbone of the organization! We work with more than 200 agencies in the city to ensure that no one in need is forgotten and that both school and Christmas assistance is distributed evenly and fairly within the community. We do this through the help of duplication checks and appropriate distribution coordination.